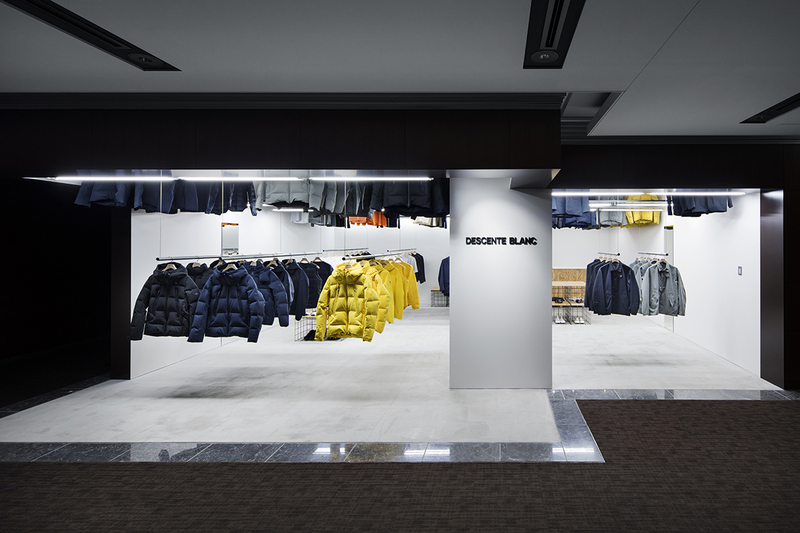 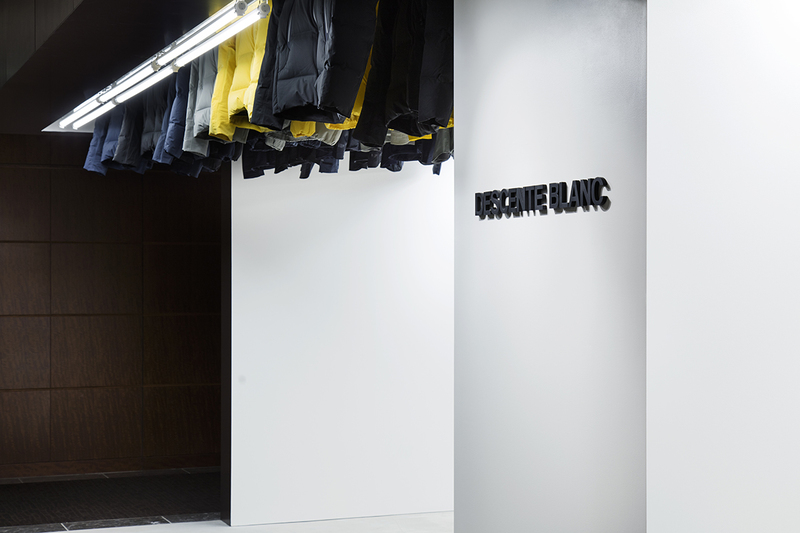 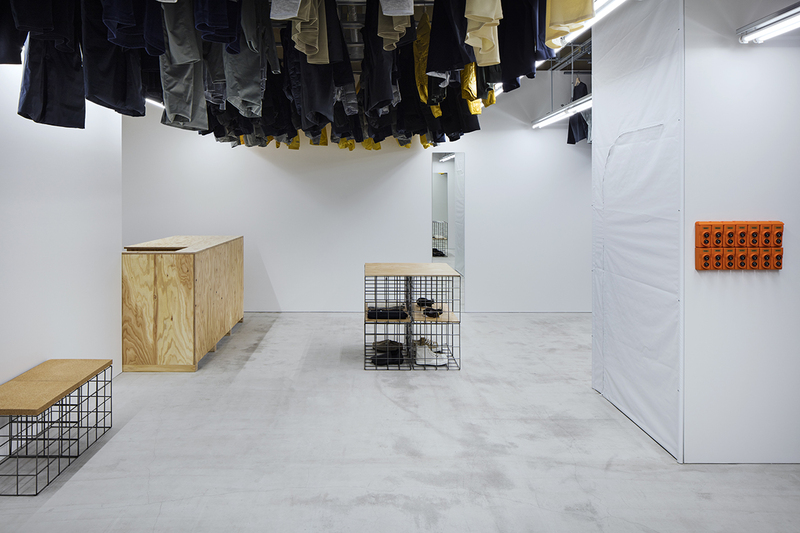 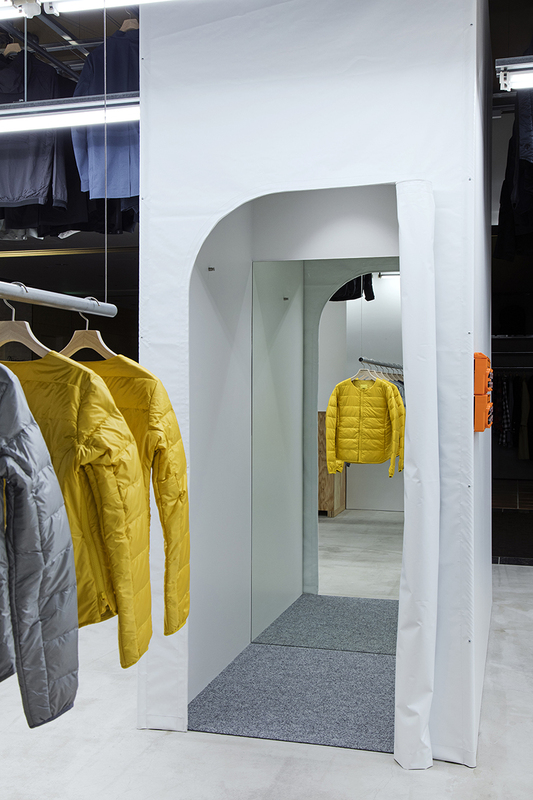 This is the fourth shop we designed for the sportswear brand DESCENTE BLANC in Japan, located in Shin Marunouchi Building, and its second in-shop after their shop at Expo City in Osaka. 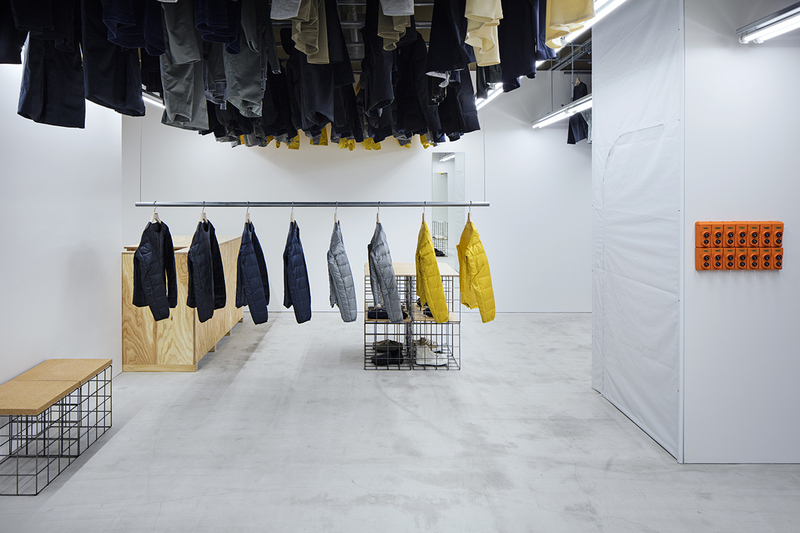 The characteristic difference from the Osaka shop is that the entire design of Shin Marunouchi Building is very authentic. 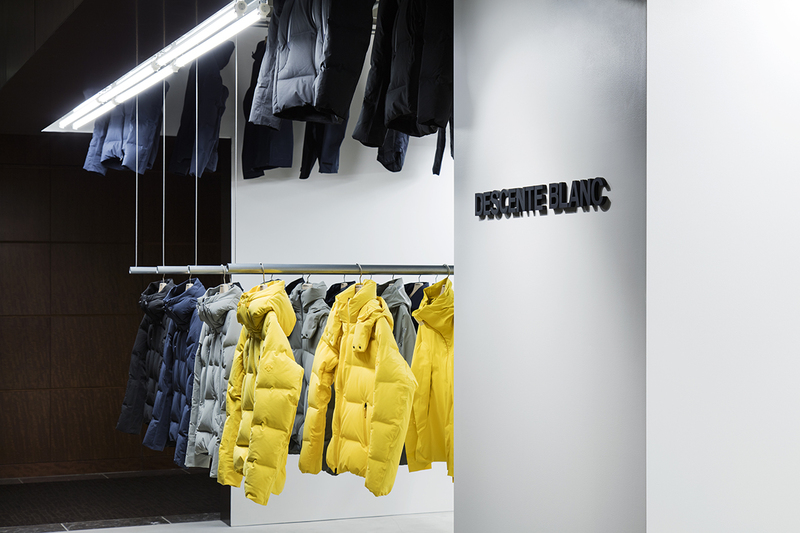 Our design concept for the DESCENTE BLANC series is to redesign the movement of shop staff to go to get stocks and incorporate automatic lifting stock stock-display systems in the ceiling. 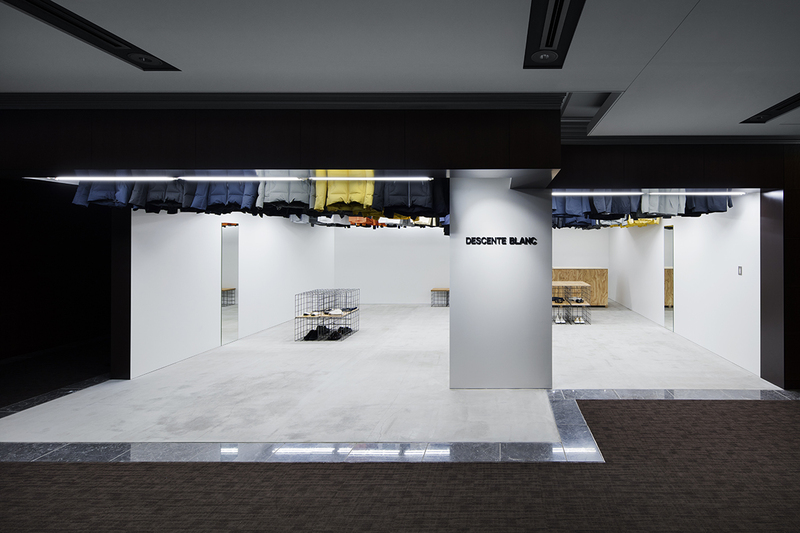 After the existing ceiling was removed, the ceiling plenum was exposed and the existing finishes above and below the removed ceiling created a sharp contrast, implying an “imaginary” ceiling plane there. 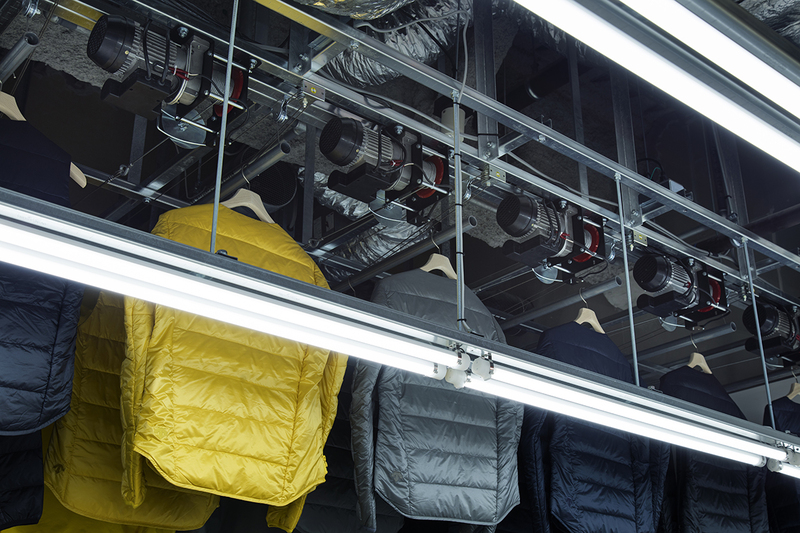 In order to highlight this distinctive feature, we designed the overhead stock space in the plenum space where clothes are stored closely under the ceiling, resembling an aircraft hangar. 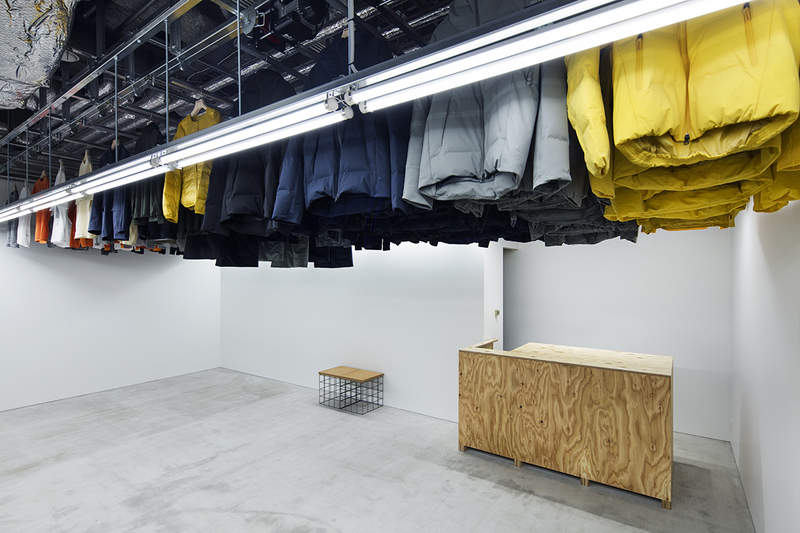 Hanger pipes are leveled so that hems of the clothes align with the “imaginary” ceiling plane, and the ceiling lights are also installed at the same level to emphasize the effect.